Festival season is pretty much here! Which of Vancouver's big events are you planning to go to this year? Driving to a lot of Vancouver's big summer events is a major hassle--everybody else wants to do the same thing, so traffic is madness, only made worse by the fact that half the people don't usually drive downtown. Then finding parking anywhere near the event? Good luck. Transit is a better option, though for the events that happen on weeknights, you could be on the hook for a lot of bus fare if you're travelling with your whole family. Biking is a natural solution: free, fun & often faster than transit. 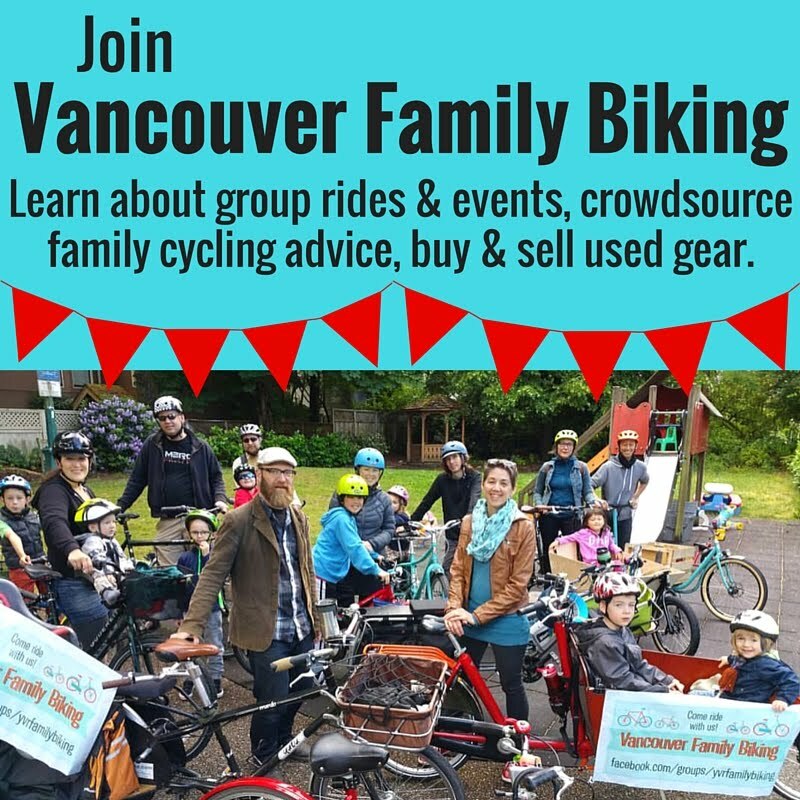 The only tricky part about biking to an event like the fireworks, the movies in Stanley Park, or Canada Day, is finding somewhere to lock your ride. That's where the Bicycle Valet comes in. They provide valet parking for large events like Whitecaps home games at BC Place, the Pride Parade, The Celebration of Light fireworks, & the weekly Food Cart Festival. You just ride up to the enclosed bike parking area, hand off your bicycle to a volunteer, who tags it & gives you the matching claim ticket. No heavy lock needed, no worries about your trailer, your lights, or your seatpost getting ripped off. When you're ready to go home, you just show your ticket to the bike valets again, they go bring your bike & off you go. It's free for you (though donations are welcome), paid for by the event organizers. If you've got more questions, check out their FAQs for cyclists. The Bicycle Valet is also going to be available for the summer at Pacific Centre (in the plaza at Howe & Georgia) weekdays & some weekends starting June 15, as well as on Granville Island just west of Ocean Concrete, starting in late June. If you want to check out all the events they'll be at to plan your trip better, visit the Bicycle Valet Calendar to see where you can get rock star parking for your bike. The Bicycle Valet is a social enterprise project of Better Environmentally Sound Transportation. 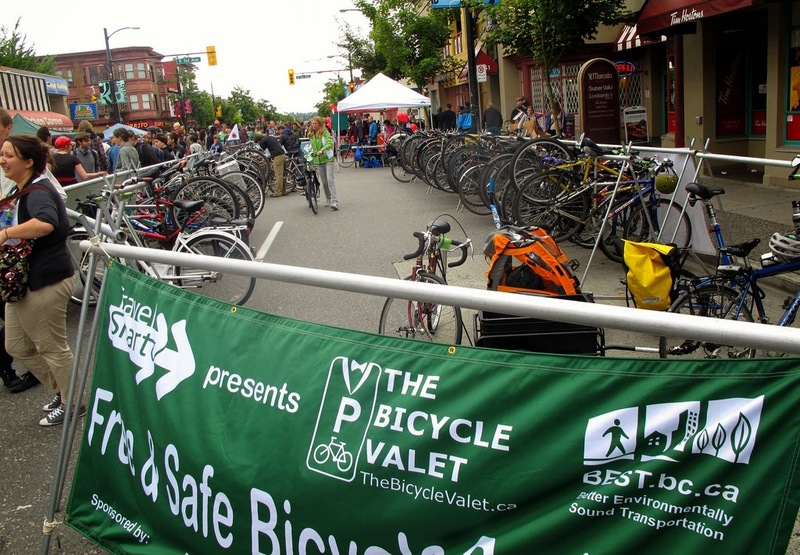 For more information, to book the Bicycle Valet for your event, or to volunteer, please visit thebicyclevalet.ca. *Did you notice the asterisk in the title? I added that in May 21 because the good folks at The Bicycle Valet let me know that other forms of human-powered transport like skateboards, rollerblades & kick scooters are also welcome to the free valet parking!